1982. Bronze edition of 9 + 1. Cast: Hermann Noack, Berlin. signature: stamped Moore, 0/9. The Henry Moore Foundation, Perry Green. Acquired 2009 in honour of David Mitchinson. 1936. Brown Hornton stone. Unsigned. Gift of Irina Moore, 1979. Bronze edition of 9 + 1. Bronze edition of 7 + 1. Cast: Hermann Noack, Berlin. Signature: stamped Moore, 0/7. 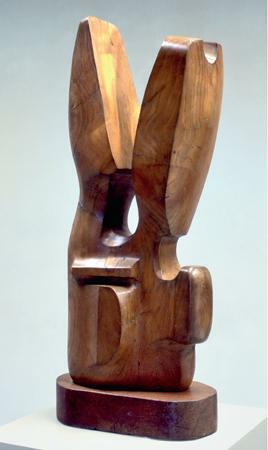 Gift of the artist, 1977. 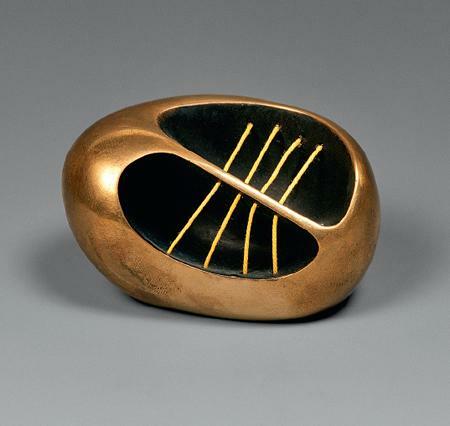 Gift of the artist, 1977. 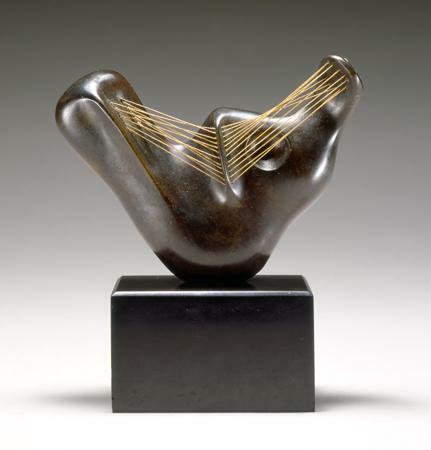 Bronze and yellow string, edition of 9 + 1. Cast: Fiorini, London. Signature: stamped Moore, 0/9. Bronze edition of 10 + 1. Cast: Fiorini, London. Signature: stamped Moore, 0/10. Gift of Irina Moore, 1977. Bronze and string edition of 8 + 2. Cast: The Art Bronze Foundry, London 1968. Signature: stamped Moore, 0/8. Lignum vitae and string. Unsigned. Accepted by HM Government in lieu of Inheritance tax and allocated in 2002. 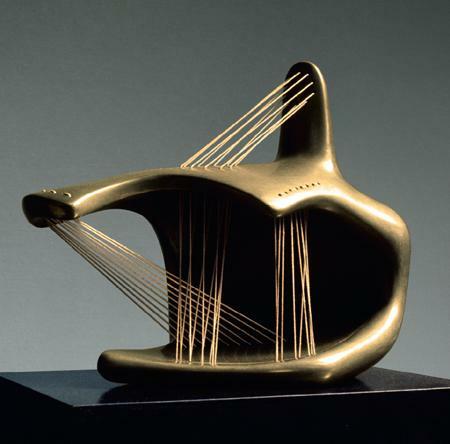 Bronze and string edition of 9 + 1. Cast: Fiorini, London 1957. Unsigned, [0/9]. Cast iron, unique piece. Cast: not recorded. Unsigned. 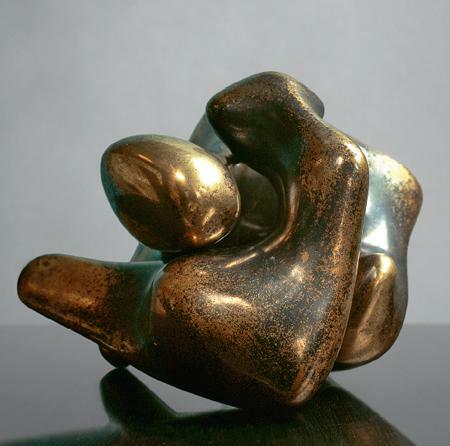 Bronze edition of 8 + 1. Cast: not recorded. Unsigned, unnumbered. 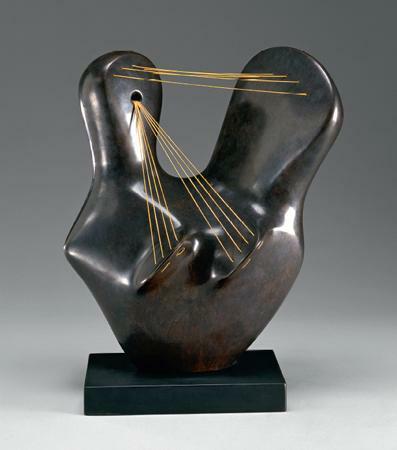 Bronze and string edition of 9 + 1. Cast: Fiorini, London 1956. Unsigned, [0/9]. 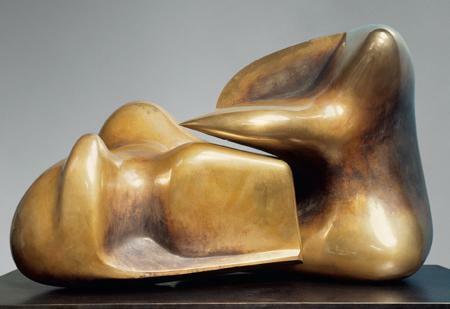 The English sculptor Henry Spencer Moore is considered to be one the greatest artist of the XXth century. His unique and humanistic approach to art continues arousing admiration of the modern society. Moore’s artworks are being exposed in the world’s largest museums; his monumental sculptures are located in major European cities as decorative public works. 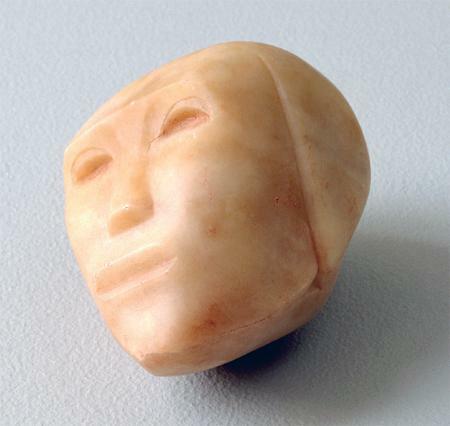 As Moore's artworks have never been exposed in Russia before, the Moscow Kremlin Museums' exhibition gives an opportunity to span Moore's career through a retrospective of his outstanding artworks - from early carvings in stone, wood and marble, through drawings and tapestries to later iconic sculptures of the 1980s. 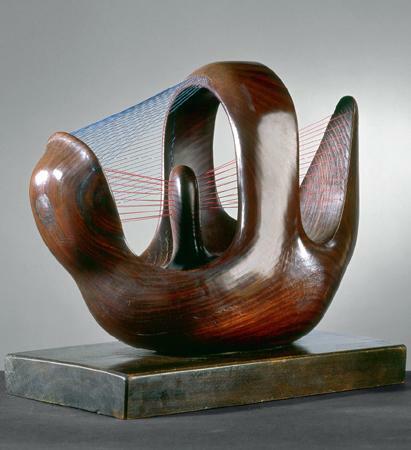 Through his eventful life and successful creative career Henry Moore (1898 – 1986) has been demonstrating a radical break with sculptural traditions of the post-Renaisance Western World while establishing new approaches, new themes and new sources of inspiration that changed the world of Western European 20th-century sculpture. 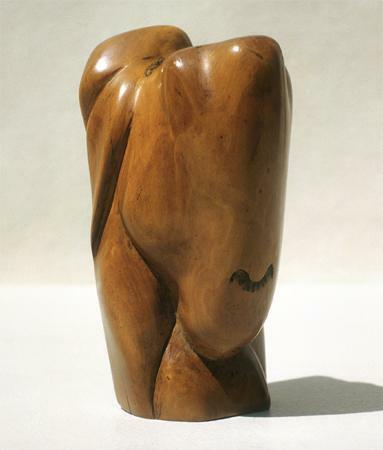 His unique style was based on abstract natural forms, often suggestive of the female body, the importance of space and his notion that sculpture should be seen and experienced from all points of view at once. 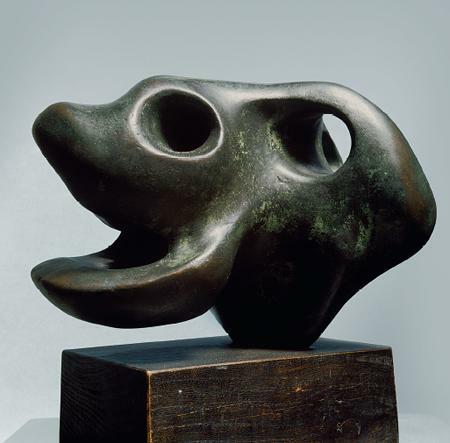 Henry Moore was the first XXth-century sculptor to profess that landscape is the best setting a sculpture, as well as for his own works. 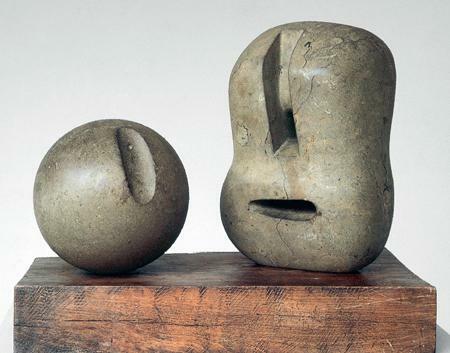 Having derived his inspiration from visual environment as well as cultural heritage of ancient civilizations and traditional motifs from different ethnic cultures, Moore determined his own artistic development which had a direct influence on several generations of sculptors of both British and international reputation. During the Second World War Moore stayed in London as a war artist, notably producing powerful drawings of people sheltering from air-raids in the London Underground. 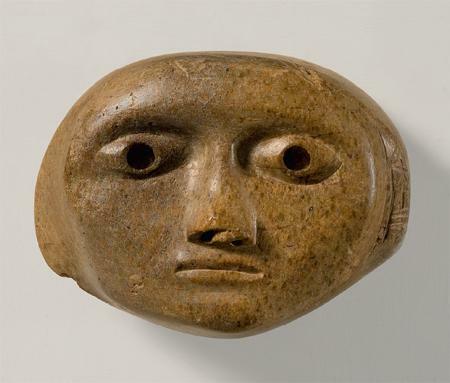 These artworks, considered among his greatest achievements, reveal the artist's deep emotional and artistic involvement in what was happening in the world at the time, the humanistic feelings peculiar to his art. In the post-war years, after their Hampstead home was damaged by a nearby bomb, Moore and his wife Irina moved out of London to live in a farmhouse called Hoglands in the hamlet of Perry Green, the place which was to become Moore's home and workshop for the rest of his life. 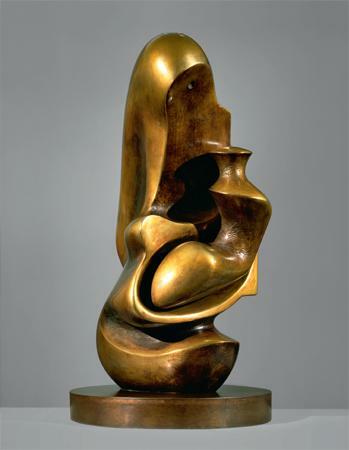 Here he has focused on the development of his three major themes, including "mother-and –child" compositions, the reclining figure and internal and external forms. The exposition incorporates small studies and models, where these motifs were examined and carefully worked through, as well as models for the sculptures which were to be installed all over the world in the 1950s. 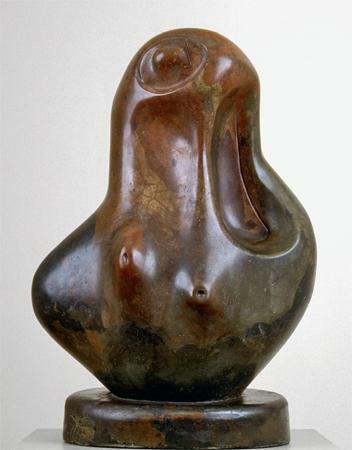 A few years before his death in 1986 Moore gave the whole estate at Perry Green with its studios, houses, cottages and collection of work to the Trustees of the Henry Moore Foundation to administer in perpetuity, charging them with the allocation of grants, bursaries and scholarships to promote sculpture within the cultural life of the country. The exhibition project incorporates about 60 sculptures, 20 original drawings and 3 tapestries from the Henry Moor Foundation collection, supplemented by key loans from both public and private collections. 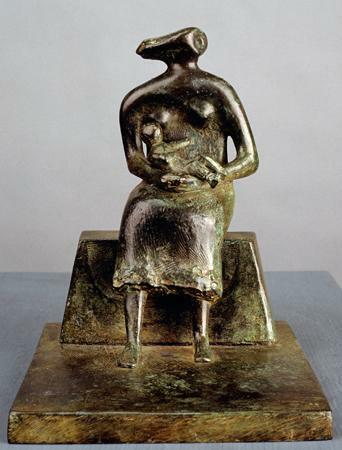 Placed in two exhibition halls of the Moscow Kremlin Museums the display is intended to be a retrospective of Moore's career, from his early carved artworks in stone, wood and marble, which betray the early influence of non-Western art on the artist, to experiments into biomorphic surrealism of the 1930s; and later investigations into constructivism. 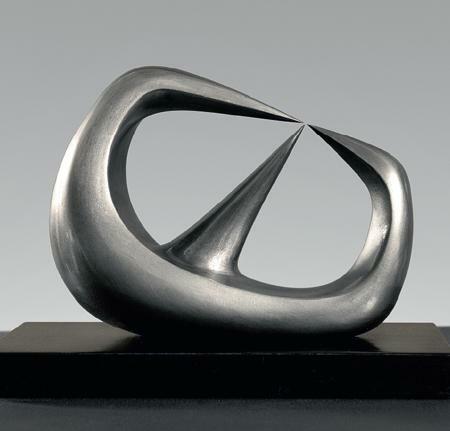 The highlight of the exhibition is the group of abstract and figurative sculptures from the 1980s, bronze models and maquettes for the major sculptural monuments – public works of art – which now stand in the main squares of world capitals, from London to Tel-Aviv and Toronto. His world famous "Family Group", created in 1948-1949 as a symbol of the world’s recovery from the devastations of the war, stands in front of the exhibition hall at the Patriarch’s Palace of the Moscow Kremlin. The display is completed with a special collection of drawings, ranging from preliminary drawings and ideas for sculpture to heavily-worked compositions, as well as a selection of tapestries, intended to give a unique insight into the Moore's working methods. The exhibition is accompanied by a richly illustrated catalogue including essays on the work of Henry Moore by leading British scholars, newly commissioned texts from Dawn Ades, Chris Stephens, Jeremy Lewison, and Anita Feldman an interview with Mary Moore, the artist's daughter, as well as extracts from Henry Moore's writings and conversations on art. General partner of the project is OAO NOVATEK. With the assistance of ROSBANK, Statoil ASA.